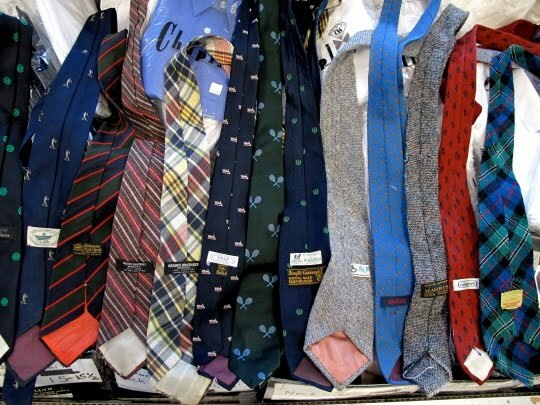 Do you like ties? 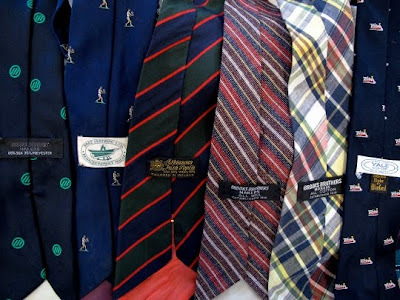 Older ties maybe, handed down from professors in nearby Cambridge (MA) or tweed ties from Irish-born grandfather's? 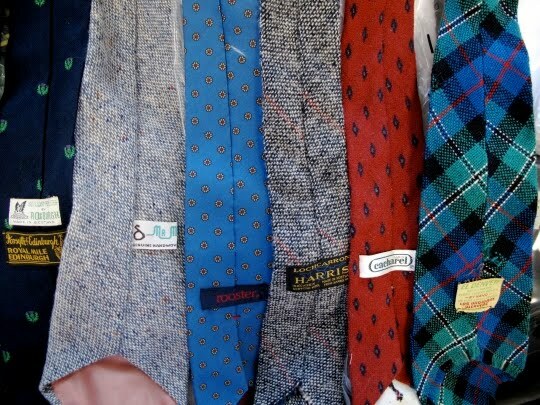 How about deadstock bow ties from Ralphy or local stitchers in seersucker or silk... I do, 9bucks for the below ($7 if you use the eternal 20% coupon). 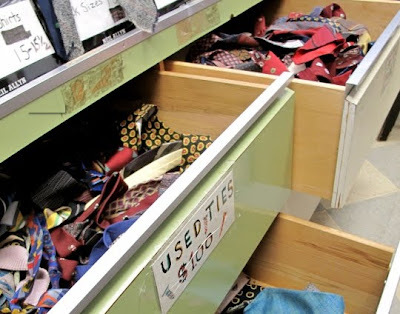 Huge props to Jamie at TheStandardEdition for rekindling my interest in Keezer's; a clothing reseller in Cambridge (Central Square) that may be best known for its tuxedo rental. Pops told me about it years ago and it is my secret weapon for buying tuxedos... they have vintage stock with braiding or grosgrain everything, shawl collars, extra ribbon inside the hem... You knew about that trick right?? 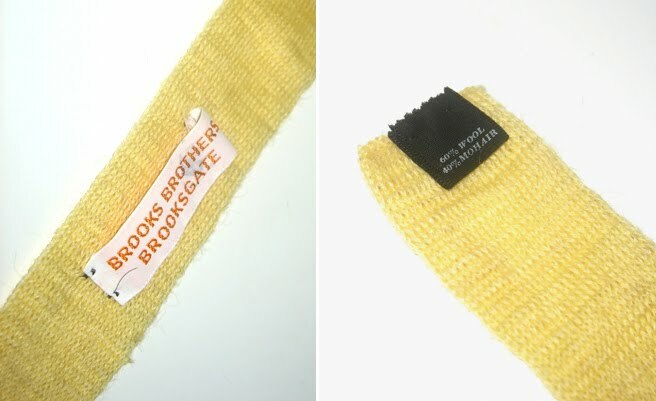 They have them. Get a knockout vintage tuxedo for less than $100. Keezer's also has sportcoats (next on the list) and some shoes too but the genius call by Jamie here is for ties. Those older ties I mentioned -$1. The new ties -$4.50 to $15. Photos below from Jamie's visit; read his thoughts here.